A century-old global construction company needs to create an OSHA-compliant multi-lingual training program that supports its core value of safety. In a company where thinking, demanding, and delivering safety in all aspects of business is the No. 1 core value, creating a work culture that sustains safety is vital. So educating all personnel — from internal administrators to onsite subcontracted laborers — has to happen in an efficient and effective way. Doing this can be tough; project sites are spread around the globe, OSHA has federal requirements which must be met, and Walbridge has its own orientation requirement that 100% of its employees and subcontractors must take and pass the safety course and post-test. This is further complicated on job sites, where employees and subcontractors must take time away from working on the project to complete the training and take the post-test, which they may have already done. Lastly, on many US job sites Spanish is commonly the primary language of subcontractors, making a bi-lingual Spanish/English course a necessity. MCM designs a Walbridge Orientation Safety course as an online course with information delivered in manageable pieces with interactive sections and built-in quizzes throughout to help with learners' retention. MCM will design a Walbridge Orientation Safety course that supports the safety-focused core value and be globally available. The program will be developed as an online course with information delivered in manageable pieces with interactive sections and built-in quizzes throughout to help with learners' retention. Post-test results will be tracked and housed on a learning management system that will identify unnecessary time spent on taking the training by as much as 75%. The course will be developed in both English and Spanish. 100% compliance is attained for all Walbridge employees and subcontractors taking and passing the post test. 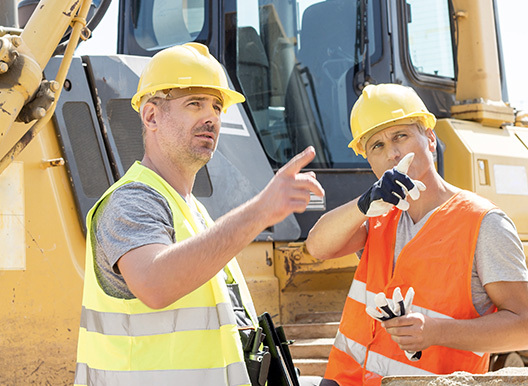 Time spent taking the training for those who have already passed it is greatly reduced, making the efficiency of job site operations better while still supporting safety first. The Walbridge Orientation Safety Program supports over 12, 000,000 hours worked without a loss-time injury, and Walbridge experience modification rate (EMR) which is half that of the industry average.